Cloud technology means there’s no hardware to crash on your site. So long as you are connected directly to the internet: cellular or landline, there’s no need to install software separately at each site. This provides you with real-time reporting. Run reports to notify you when a hose or belt is due for review and download the file to view in an Excel (CSV standards) spreadsheet. 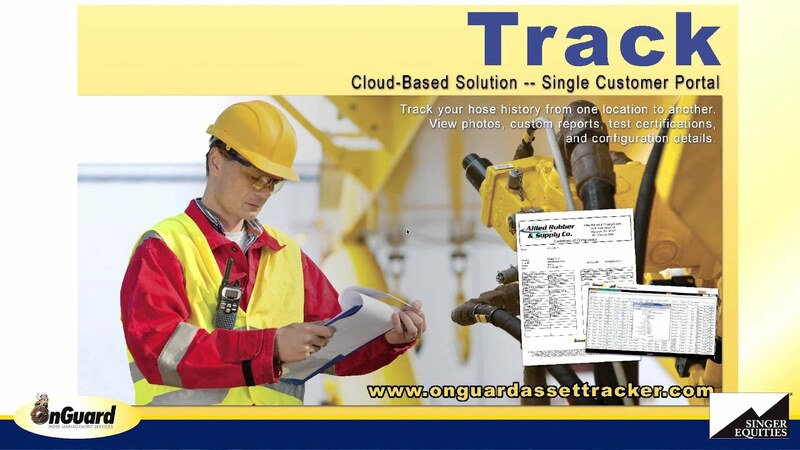 Utilize tracking services to analyze performance trends of your hydraulic and industrial hoses. Tracking Your Assets: Your Data, Your Way. Record from a pre-defined list or write in comments what it was that caused a hose to fail. Export charts of your data. This allows you the customer to determine if a change in hose cover type is needed. Available upon request.